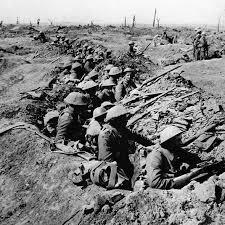 Some of you may know and others may not realize that this year marks the 100 year anniversary of the Great War (more commonly known as World War I). And some of you may know, and others may not, that I was at one time a history buff who focused on WWI. This is not the place to talk in-depth about why I have always found that conflict fascinating or where that fascination has led me in life but I do want to honor the memory of those who died this summer. So I have two beers I will be brewing with a theme linked to WWI. Since the war started in August 1914 and this is the summer of 2014 both beers will focus on the very early moments of the conflict. In fact, this beer focuses on a moment that is almost 100 years prior to the conflict. Following the Napoleonic Wars, the European powers gathered in Vienna to try to restore a balance of power to the Continent. The subsequent Congress of Vienna really, in many ways, set in motion the wars of the 20th century through the gerrymandering of nations that took place. One of the things that came about was the nation of Belgium. The “nation” of Belgium really isn’t a nation in the sense that we understand it. Historically Belgium was part of the Low Countries–which were primarily part of what makes up modern day Netherlands. But Belgium also has a significant French population (Walloons) and so it is a nation divided. Hence, the fact that from 2007-2011 the government of Belgium was shut-down. So, it is a bit like Ukraine, a myth fostered by the Great Powers for their own geo-political gain. But when it came to Belgium, the Great Powers were willing to go to war. Lord Palmerston was the one who, in the 1830s (following revolutions in Belgium), worked tirelessly to ensure that Belgium remained an independent nation. This meant that France would not take the territory from Belgium (that had been French) or risk losing British support. It also meant other countries (later Germany) would respect the neutrality of Belgium or risk involving Great Britain in a war on the Continent. This came to be known as “Palmerston’s Solution.” (A great read on some of this is in, if I recall correctly, Barbara Tuchman’s The Guns of August). What does all of this have to do with the Great War? Well, the Schlieffen Plan for fighting a two front war (Germany vs. France and Russia) involved a swift invasion of France with a holding pattern on the Eastern front. Because the French/Germany border was so heavily defended, the only way to swiftly invade and defeat France was through neutral Belgium. In August 1914, Germany did just that: they marched into Belgium. Great Britain, obligated by a treaty (Palmerston) was forced to come to Belgium’s defense. What could have been (theoretically) a short war quickly spread as nation after nation declared war and became a horribly, violent, prolonged war of attrition. The brown sugar was a last minute addition. The package my sorghum came in was busted. Most of it was still in the container but boy was that an awful mess trying to get it out. I know I didn’t put a full 3lbs in so I improvised with the brown sugar. I’ve used it in beer before so I know it will work. Hopefully, it will not make that much of a difference in the flavor profile. The oranges were clementines because one of my daughters really enjoys those so that is what I had on hand. I think I probably got 1 TBSP total of orange peel zest. Whatever the amount, the aroma of the orange peel certainly over-powered the hop aroma when the wort was cooling down. This will be my first time using two ingredients: Lyle’s Golden Syrup and Safbrew WB-06. Lyle’s is commonly used in gluten free brewing by brewers across the pond so I thought I’d give it a try. Beside, how appropriate to use a thoroughly British ingredient in my Belgium beer, no? I’ve also never used WB-06 yeast before, though I have been wanting to for some time. I hope I enjoy how it ferments because I’ve got another package of it for my next beer.